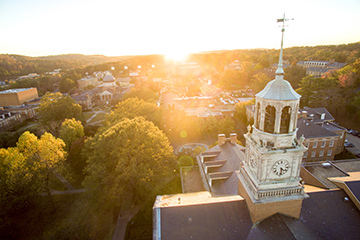 Samford University’s online programs continue to climb in US News & World Report rankings. The latest rankings recognize multiple Samford programs among the top in the country based on a variety of factors, including reputation, faculty credentials, student engagement and selectivity. The Brock School of Business Master of Business Administration (M.B.A.) ranks in the top quartile at #68. Orlean Beeson School of Education’s Master of Science in Education (M.S.E.) programs rank #70 nationally, placing the school in the top-tier of graduate education programs. Orlean Beeson School of Education offers several blended and fully online master’s level degree programs, including the M.S.E. in Elementary Education with Class A Certification, M.S.E. in Gifted Education with Class A Certification, M.S.E. in Instructional Design and Technology, and M.S.E. in K-12 Collaborative Special Education with Class A Certification. The Brock School of Business M.B.A. is designed for the working professional, offering coursework online and on campus and allowing students to complete the degree at the pace and delivery method they prefer. M.B.A. students have the option to add a concentration in entrepreneurship, finance and marketing, or take advantage of a number of joint degree programs. Samford University offers a number of online programs at the baccalaureate, master’s and doctoral levels. A full list of all online offerings can be found at samford.edu/programs/online.